Although the art school in his native town (Piatra Neamț, Romania) is named after Victor Brauner, the best works of the surrealist painter were not printed until 2012 in Romania in a representative album of good quality. Mihaela Petrov’s book is therefore an important milestone of Brauner’s reception in Romania, after some major monographical essays published in Romanian language by Emil Nicolae (2004, with several texts and early paintings of the author), Sarane Alexandrian (2005, a translation of the book originally printed in Paris, at Ed. Oxus in 2004) and Cristian-Robert Velescu (2007). The author of the recent book, Mihaela Petrov obtained a PhD degree in Bucharest in 2011, after researching intensively the Brauner archives in Bibliothèque Kandinsky, Centre Georges Pompidou, Paris, creating a full inventory of the notebooks and manuscripts of Brauner, trying to establish interpretative connections between them and Brauner’s paintings. As several scholars pointed out earlier, such connections do exist – Brauner being one of the painters who worked according to a logic resembling syntax, using images and symbols as “sentences”, even combining words, inscriptions with images in several of his works. When examining the role of the notebooks, Petrov starts the discussion once again from the pictopoetry of Victor Brauner and Ilarie Voronca, dating back to their dadaist period, to the single issue of the avant-garde magazine 75 HP published in 1924 in Romania. This experiment shows indeed that Brauner’s relationship with written texts is stronger than usual. The amazing graphical quality and composition of his notebooks, known to the public from the Centre Pompidou editions (Victor Brauner dans les collections du MNAM–CCI, Centre Georges Pompidou, Paris, 1996; Victor Brauner, Écrits et correspondances 1938–1948, Centre Pompidou – INHA, Paris, 2005) renders the interpretative effort as relevant and necessary. As I have mentioned above, the visual quality of the publication and the selection of the paintings make the publication of Mihaela Petrov’s work an important event in Romania. Also, a reliable introduction into Brauner’s visual universe for an international audience, in spite of the fact that Brauner’s lycanthropic paintings / chimeras or his retractés could arguably play a greater role in the book. But let us consider also whether this album succeeds in bringing new elements into the interpretation of Brauner’s work or not. It is important to see also whether the target audience of the book can be identified from its interpretative strategies. The reader can identify at first sight the importance of inverted commas, that is, the frequent quotations in the introductory part of the book. Most often these are references to the notebooks of Brauner, but with no further contextualizations or interpretations. The result is a sort of enumeration of the keywords used by Brauner (and his surrealist contemporaries) – but with a very few connecting sentences to the more general context of surrealist theories and artworks. This interpretative strategy singularizes Brauner’s work following a restrictive methodological choice, but does not open up the possibility to remark the actual singularity of these works by confronting them to the core of surrealist thought. Some of the references follow Cristian-Robert Velescu’s hypothesis who tried to prove an unusually strong connection between Brauner’s thought and Marcel Duchamp’s vision. However, confronting these aspects with works of authors like Giorgio de Chirico, Yves Tanguy, Jacques Hérold or even Leonora Carrington, the argumentations in favour of a singularity seem to collapse. 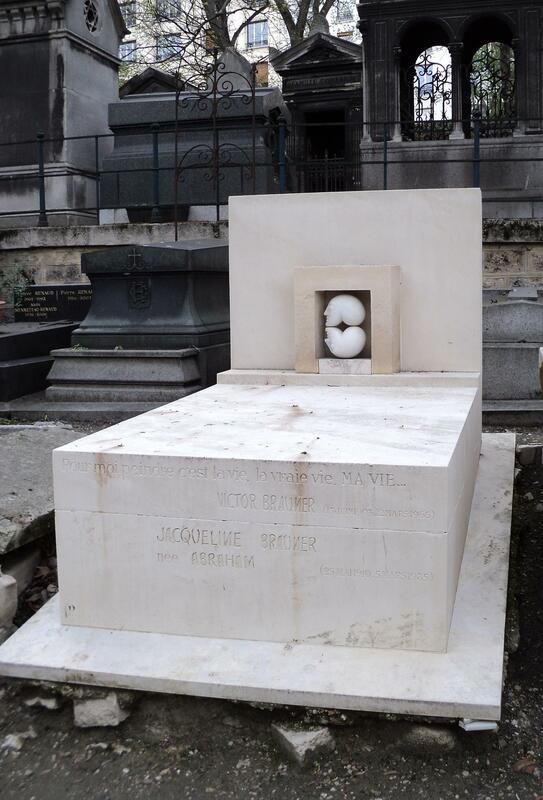 The landmark interpretations of André Breton, Sarane Alexandrian, Alain Jouffroy and Marcel Jean show quite precisely which were the shared elements of surrealist mythology in the group, and which were the elements that Brauner introduced as novelties, initiating several younger authors (like Alexandrian and Jouffroy themselves, but also Gellu Naum and Gherasim Luca from Romania) into his own system of thought. Brauner might share indeed with Duchamp the importance assigned to the conceptual level of art and the interpretative level of the artwork, but beyond this aspect they tread different paths: it is the “logic of the syntax” that differentiates Brauner in this comparison. Without these contextualizing gestures, the Brauner-keywords have a function of stirring the imagination of those who are not familiar with the role of these concepts within surrealist theory – the target audience being this way the “general” audience interested in art. However, the frequent references to the notebooks reproduced in the Appendix of Mihaela Petrov’s PhD thesis as a source where they can be accessed (this Appendix not being part, of course, of this book) seems to counterbalance the efforts to reach a general audience. The role assumed by the author is in this manner the one of the person who has access to certain pieces of information but does not share them, only highlights and quotes some of the most important parts. This (most probably unintentional) effect could have been avoided by referring to the published version of the notebooks (in Écrits et correspondances 1938–1948, or Victor Brauner dans les collections du MNAM–CCI quoted above), or – having in mind that this publication is intended mostly for a Romanian-speaking audience – to Emil Nicolae’s book where the author also insisted on the dialogue between the textual and visual in Brauner’s works, and published in Romanian translation several of the self-interpretative and literary texts of Brauner, like fragments of Très belle L’or, Proclamation etc. 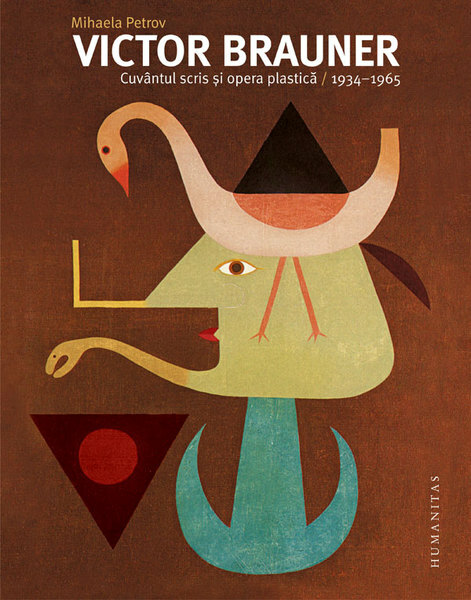 Unfortunately, while the bibliography of international works about Victor Brauner is quite rich in Petrov’s book, works by Amelia Pavel and Emil Nicolae published in Romania are missing from the bibliography – which is again a flaw from the point of view of the target audience. While reading Petrov’s book, one can feel the thorough knowledge of the author about Brauner, and also the great effort behind the book. However, we have yet to wait for the moment when this knowledge will actually be shared with the public. We are now in possession of a virtual exhibition of Brauner’s works, where the paintings are presented besides quotations from Brauner’s, Alexandrian’s and André Breton’s texts (a well-known practice of art curators at major exhibitions), and we have a thematic inventory of Brauner’s interests expressed in his paintings and his texts. The interpretative effort seems to be still ahead of us.